Looking for the best cryptocurrency resources? This curated cryptocurrency resources list is packed full of the best crypto resources available. Looking for the best ways to buy bitcoin in the UK without getting ripped off? Check out the best places to buy bitcoin in the UK. Looking for the best places to buy alternative cryptocurrencies? Alternatively, check out Exchangify. This helps you find the cheapest exchange to buy specific cryptocurrencies. You can find a full list of wallets here. My favourite wallet is probably Electrum. Hardware wallets are well-recommended across the crypto-community. I'll go on the record and say the Hardware Wallets are better than software and paper wallets for all except a handful of opsec/infosec experts. Security isn't about absolutes. It's all relative and complexity/operator skill are of the utmost importance. They’re not mandatory, but they make it simple to keep your cryptocurrency stash secure. 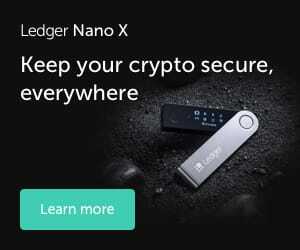 The most popular hardware wallets are the Ledger Nano S and Trezor. Keeping track of your crypto portfolio can become a nightmare. I’ve ranked the most popular and well-recommended crypto portfolio apps available in a recent post. Collect news and articles from numerous sources. Discover the best cryptocurrency newsletters. CoinMarketCap: shows market capitalisation, graphs, and related resources for over 1600 cryptocurrencies. LiveCoinWatch: a cleaner and better-looking alternative to CoinMarketCap. OnChainFX: an advanced version of CoinMarketCap. This one’s my favourite. TradingView: a great tool for technical analysis. It offers paid packages, but it isn’t necessary. BFXdata: lots and lots of data to play around with. BitcoinTalk: a popular forum to discuss anything crypto-related. Andreas Antonopoulos: Author of Mastering Bitcoin, Mastering Ethereum, and The Internet of Money. Uploads presentations and Q&A’s about Bitcoin (BTC), Ethereum (ETH), and other Open Blockchain topics. Chris Dunn: Entrepreneur and well-known cryptocurrency trader. Doesn’t publish regular content on his YouTube channel, but whatever he does upload is insightful and informative. DataDash: A one-stop shop for all things cryptocurrency-related. Discusses the latest news, covers market movements and conducts video reviews of popular and upcoming cryptocurrencies. Usually top-quality stuff. It’s unsurprising that this channel now has over 300,000 subscribers. Doug Polk Crypto: A combination of humour, honesty, and sharp critical analysis has made Doug Polk a near-instant community favourite. It also might help that he’s a well-known professional American poker player (who runs a poker YouTube channel too). Ameer Rosic: Excellent, no-nonsense videos about cryptocurrency investment from entrepreneur, marketing expert, and blockchain evangelist. Videos are uploaded irregularly. David Hay: Discusses the latest cryptocurrency news, explores new and emerging cryptocurrencies, and outlines his personal investment strategy. I host this website with Siteground. They’re competitively priced (£2.75/month), have 1-click installs of many popular tools, and the website seems responsive. For my WordPress theme, I use MyThemeShop’s Schema. It’s simple, but it does everything I want (for now). In the future, I’m thinking about building something with Elementor instead. As I find new resources, I’ll be improving on this list. Think something should be included in this list? Comment below or contact me. Thanks for the links) I watch Datadash regularly, Nicholas does appear to be thoughtful, and honest in his views. Thanks for reading – glad you found it useful! This site also walks through some resources which you might useful too (see: https://coinmetrics.io/resources/. Hello! I simply would want to give a huge thumbs up to the good advice you have here with this write-up. I’ll be coming back to your web site for more shortly. Awesome list. You should consider adding https://cryptocurrencyalerting.com/ — its a really straightforward crypto alerting app. I don’t see coinlore why ? Looks very similar to CoinMarketCap. What’s so unique about it? Nice post! I did not know Crypto Panic, and I found it was great. So thank you! Great post. You might also find https://cryptostar.money useful. It is a directory of over 7000 cryptocurrency and blockchain businesses with user reviews.